Just crazy for noodles? Spaghetti's all you think acout? Not too worry, FrogGetMee is the perfect two-in-one utensil for you. 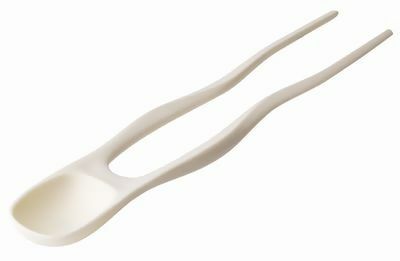 A combination of a soup spoon and chopsticks, FrogGetMee frees you to enjoy eating with one hand while you go on doing other thing with the other. Now who says you can't have the best of both hands?